You may have seen it in a neighbor’s yard. Maybe you have it in your own yard. 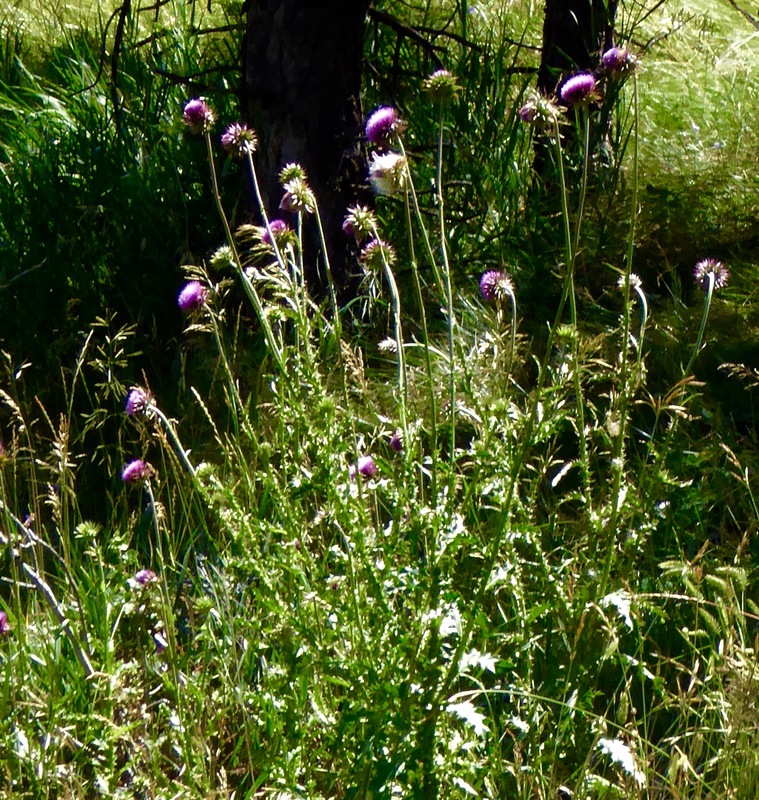 And maybe you even think it is somewhat attractive. 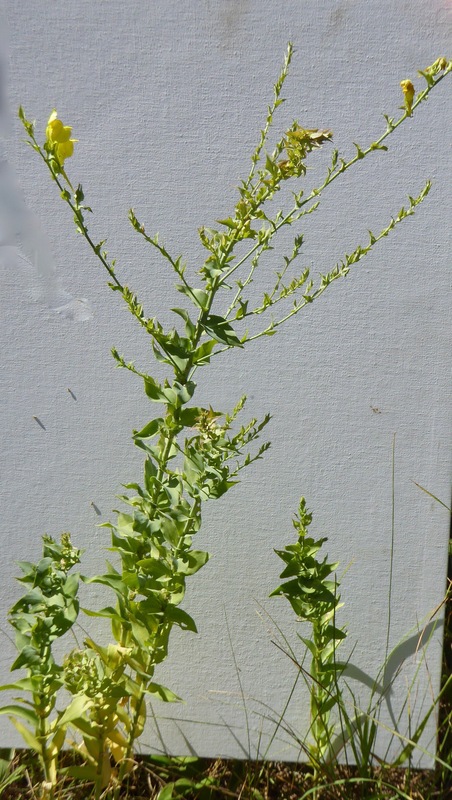 But the truth is, there is nothing pretty about the noxious weed Myrtle spurge. 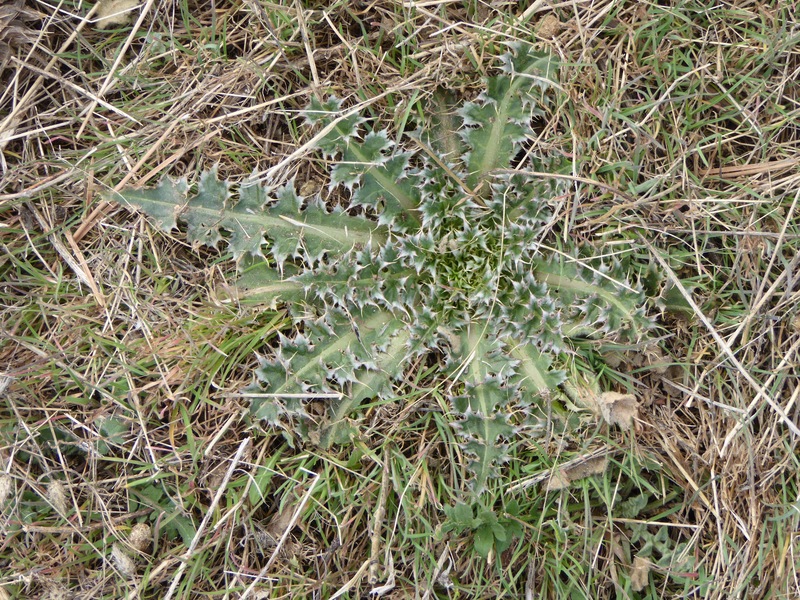 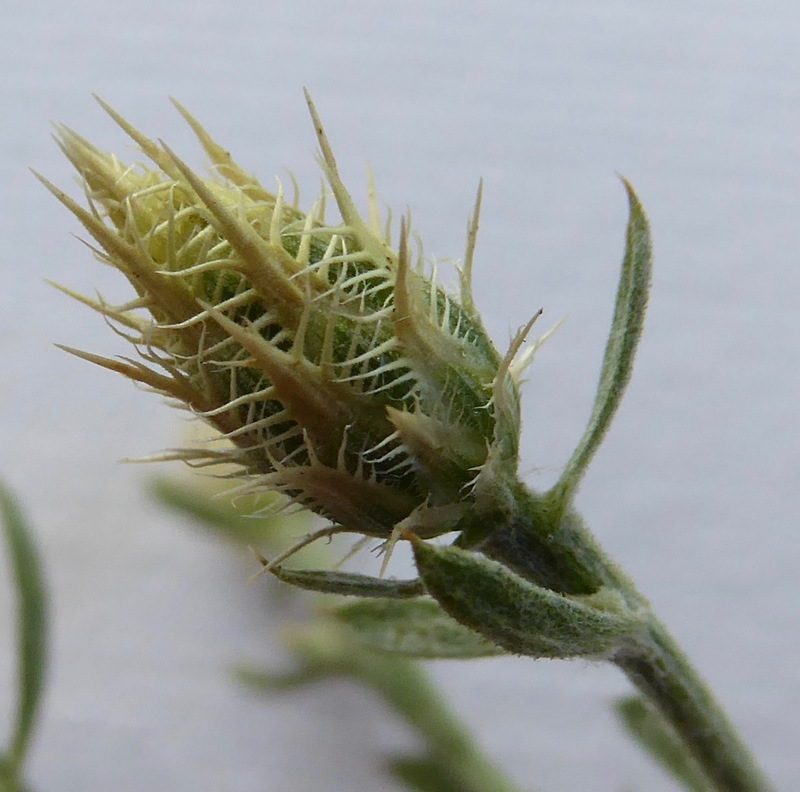 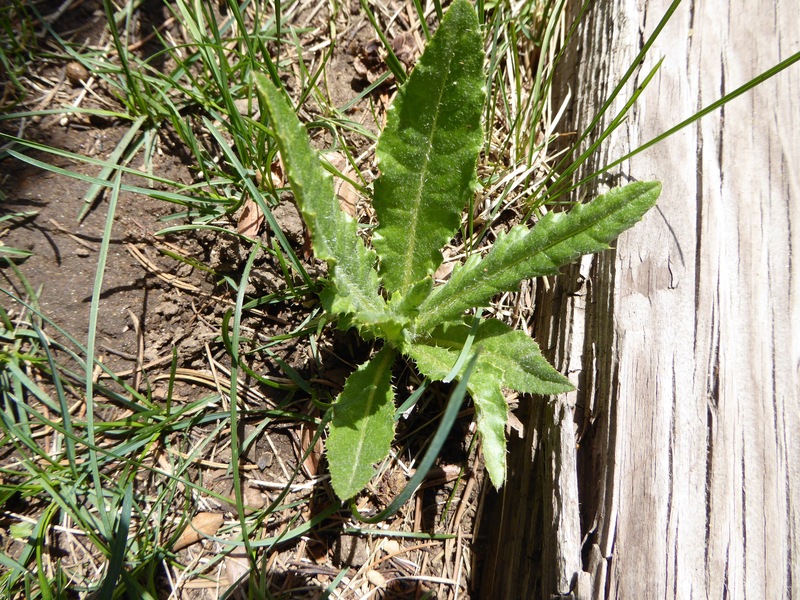 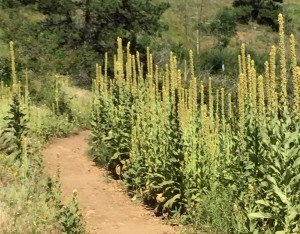 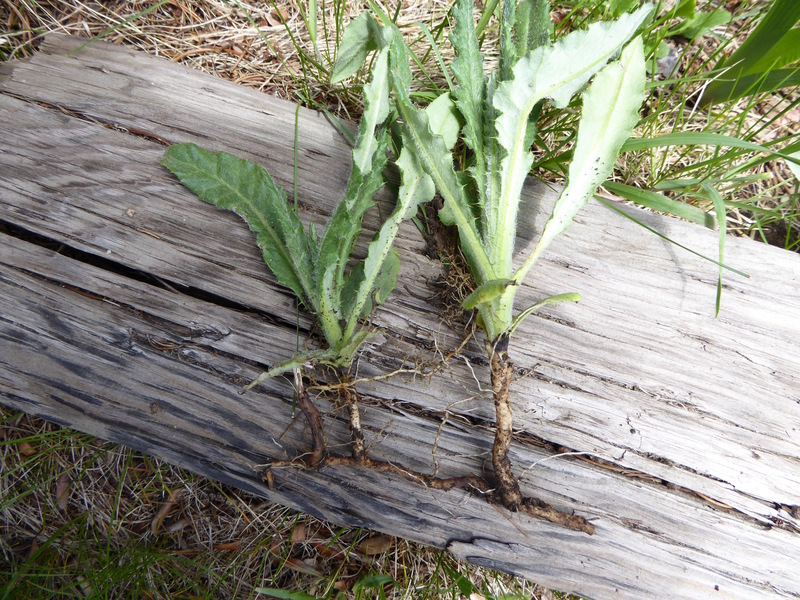 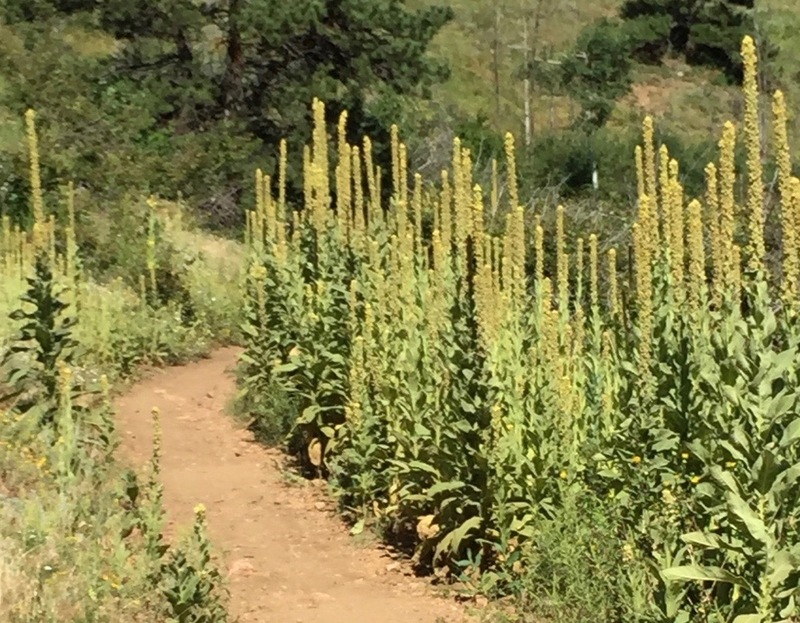 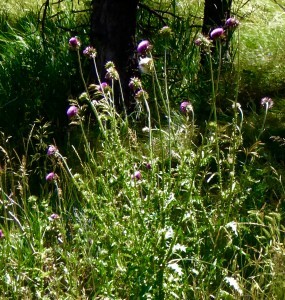 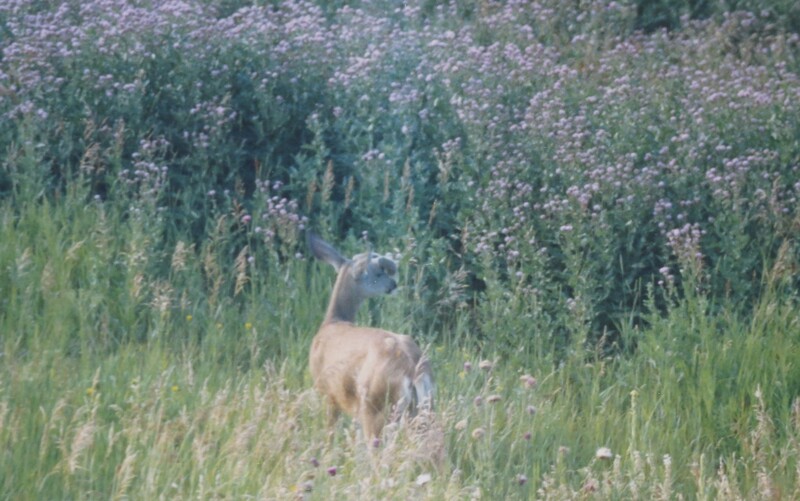 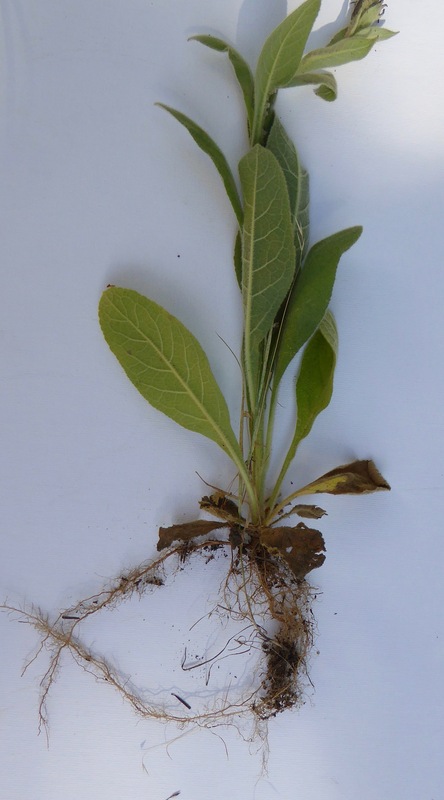 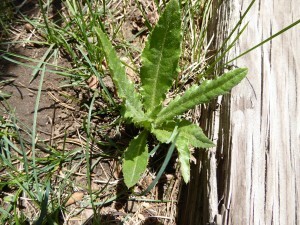 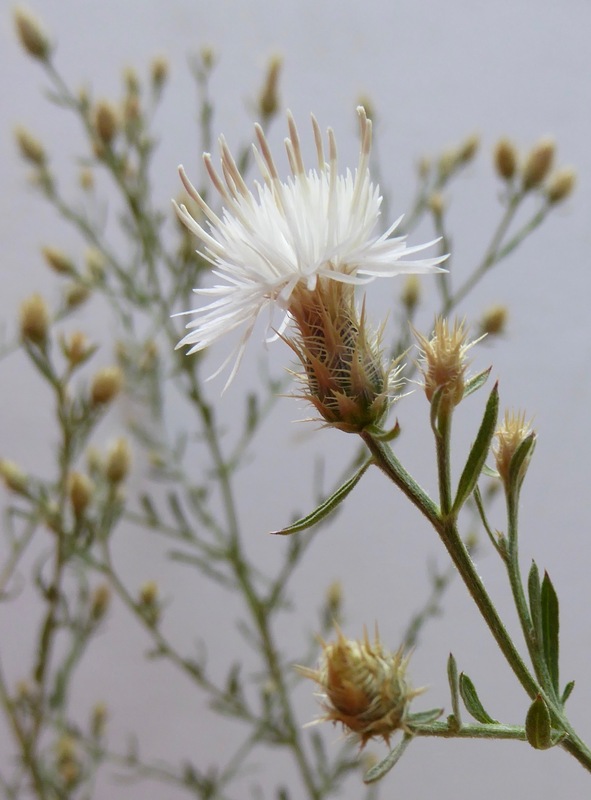 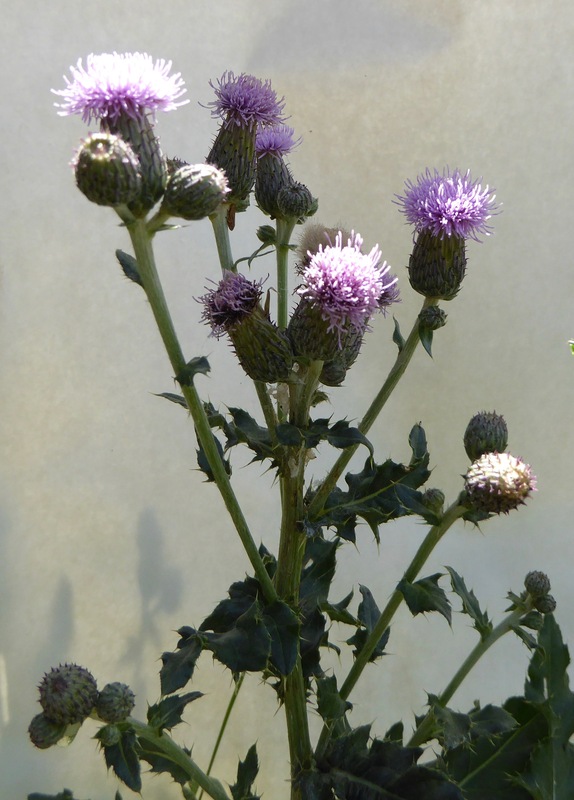 Jefferson County Weed & Pest needs your help in getting rid of this plant that takes over the landscape and is a danger to people, desirable plants and wildlife. 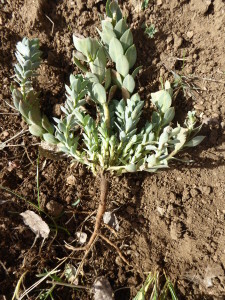 Myrtle spurge (Euphorbia myrsinites) is a highly invasive ‘List A’ noxious weed that is required by the Colorado Noxious Weed Act (C.R.S. 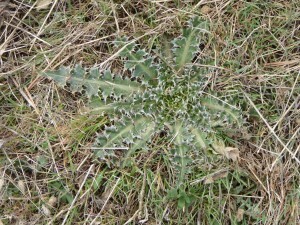 35-5.5-101-119) to be eradicated. 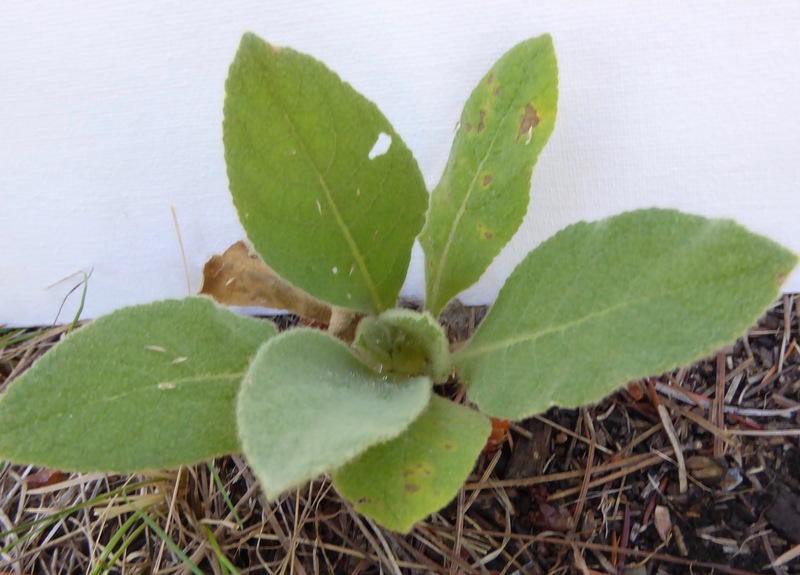 Myrtle spurge contains a toxic, milky sap which can cause severe skin irritations, including blistering. 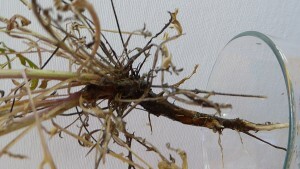 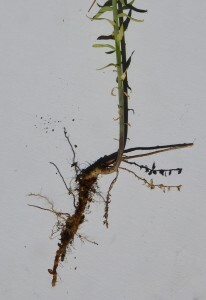 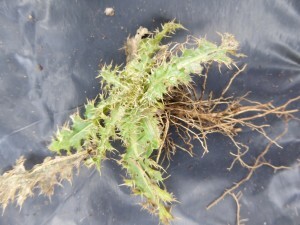 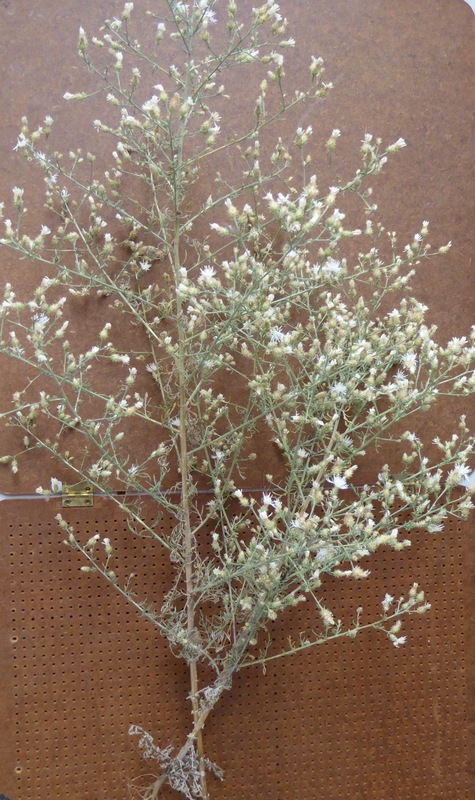 Hand-pulling, digging, and herbicide applications are effective methods used to control it. It is highly recommended to wear gloves, long sleeves, shoes and eye protection when in contact with Myrtle spurge as all the plant parts are considered poisonous. 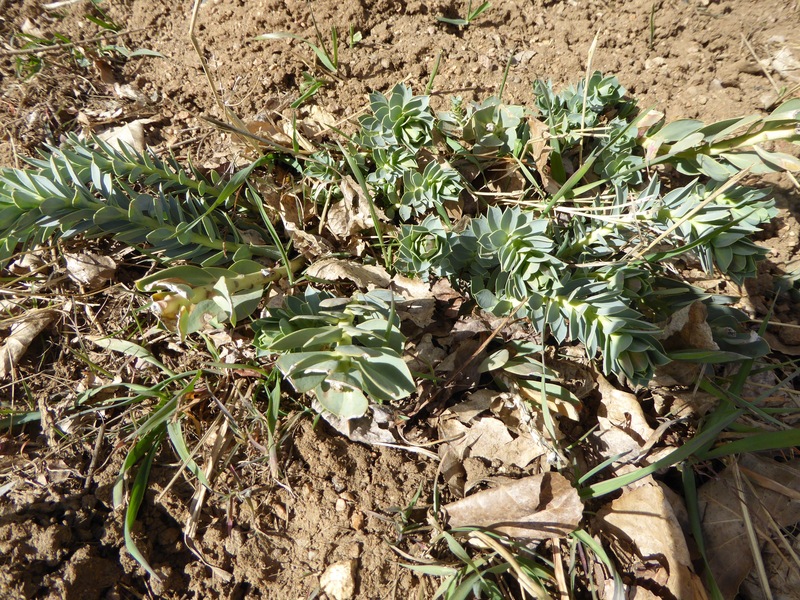 Identifying Myrtle Spurge: This weed, also called donkeytail spurge or creeping spurge, is a low-growing perennial with trailing fleshy stems which spreads rapidly to surrounding areas and can ‘jump’ fences to natural areas and displace native vegetation and reduce forage for wildlife. 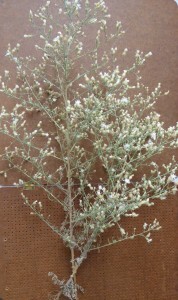 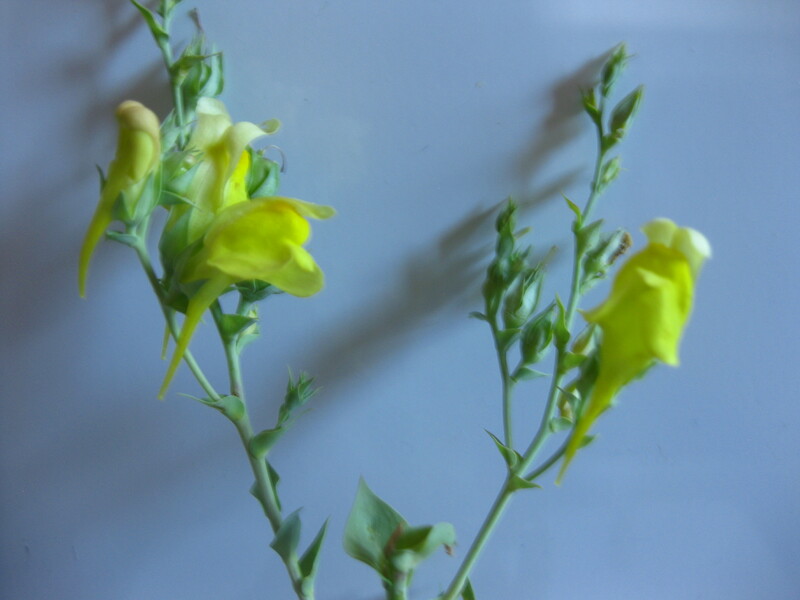 The leaves are fleshy, blue-green and alternate; the flowers are bright yellow-green, petal-like, and appear from February to May. Jefferson County Weed & Pest is partnering with Wildland Restoration Volunteers (WRV) to raise awareness and ensure eradication of Myrtle spurge. 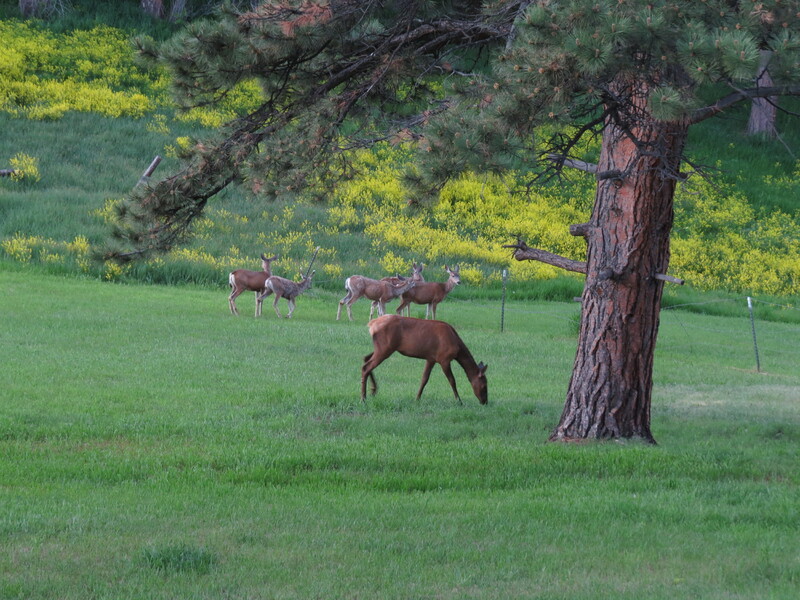 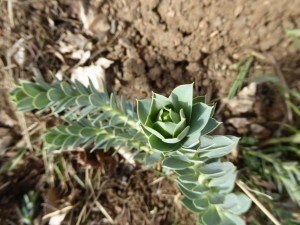 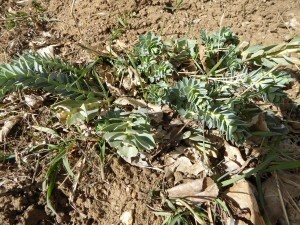 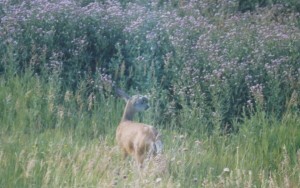 For more information about WRV and other Purge Your Spurge visit their website at www.wlrv.org.